Citizen Marketers: As Evolution Stands, The Power is NOW In Our Hands! 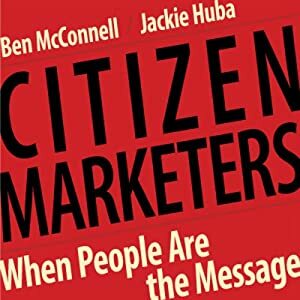 This week’s readings of chapters 3 and 4 in Citizen Marketers: When People Are the Message, have told countless stories which confirm the evolution of gatekeeping as a result of social media. These stories are one’s in which I strongly identify with, as have become a “citizen marketer” in my own right. I happen to have grown up in an era which put technology in my hands at very early age. In 2008, upon graduating college with a Bachelor’s Degree in Broadcast Journalism and no solid prospects for employment, this early exposure taught me that I no longer had to depend on someone to hire me to feel validated in the field of communications; I could create my own job. As I was taught by many of my professors, whom happened to be a bit out of touch with, and in strong opposition of “citizen marketers,” social media was something to fear, because there was so little understanding of it. But I chose to see the beauty of what it meant to have a voice and project a different perspective for others to consider. And I decided to use it to my own advantage. Since then, blogging, as well as other social media platforms have become a huge part of my everyday life. As a blossoming PR Professional, and Entrepreneur I recognize the power of social media, and have made a conscientious decision to participate in its evolution, because I recognize the effects that it has had for me; and the impression that I have been able to have on the world. LONG LIVE CITIZEN MARKETERS! This entry was posted on September 3, 2011 at 9:57 pm and is filed under Blogs, Social Media with tags beauty, Broadcast Journalism, Citizen Marketers, college, employment, fear, jobs, MEssage, People, professors, Social Media, unemployement, validation, week2r. You can follow any responses to this entry through the RSS 2.0 feed. You can leave a response, or trackback from your own site.